Louis H. Masotti has been professor emeritus at Northwestern University since 1999. ST. SIMONS ISLAND, GA, October 02, 2018 — Marquis Who's Who, the world's premier publisher of biographical profiles, is proud to present Louis H. Masotti with the Albert Nelson Marquis Lifetime Achievement Award. An accomplished listee, Dr. Masotti celebrates many years' experience in his professional network, and has been noted for achievements, leadership qualities, and the credentials and successes he has accrued in his field. As in all Marquis Who's Who biographical volumes, individuals profiled are selected on the basis of current reference value. Factors such as position, noteworthy accomplishments, visibility, and prominence in a field are all taken into account during the selection process. Since 1999, Dr. Masotti has been professor emeritus at Northwestern University. Prior to this, he held various positions at the Kellogg Graduate School of Management at Northwestern: professor of management and urban development from 1983 to 1984, director of the real estate research center from 1986 to 1988, and director of the program in public and not-for-profit management from 1979 to 1980. Dr. Masotti also served Northwestern University as director of the Center of Urban Affairs from 1971 to 1980, professor of political science and urban affairs from 1972 to 1983, and associate professor from 1970 to 1972. From 1969 to 1970, he was a senior Fulbright Fellow at the Johns Hopkins University Center for Advanced International Studies in Bologna, Italy. At Case Western Reserve University in Cleveland, Dr. Masotti was director of the Civil Violence Research Center from 1968 to 1969, an associate professor from 1967 to 1969, and an assistant professor of political science from 1963 to 1967. His professional career began in 1962 when he was a fellow at the National Center for Education in Politics. Throughout the years, Dr. Masotti has been on the board of directors at LCPtracker, Tucker Property Management, Imperial Credit Commercial Mortgage Insurance Corp., and Southern California Physicians Insurance Exchange. He was also a director at Facilities Management International and Manufactured Home Communities Inc. / Equity LifeStyle Properties. From 1989 to 1992, Dr. Masotti was a visiting professor at both the UCLA Anderson School of Management and the Stanford University Graduate School of Business. From 1992 to 1998, he was a professor and director of the real estate management program at the Graduate School of Management in the University of California, Irvine. Dr. Masotti began his academic pursuits at Princeton University, where he earned a BA in 1956. Upon graduating, he served as an ensign/LTjg aboard the USS ENHANCE from 1956 to 1959. He resumed his studies at Northwestern University, where, in order to make up the years of active naval service, he accelerated his graduate work in political science to earn both an MA  and a PhD  in just four years. 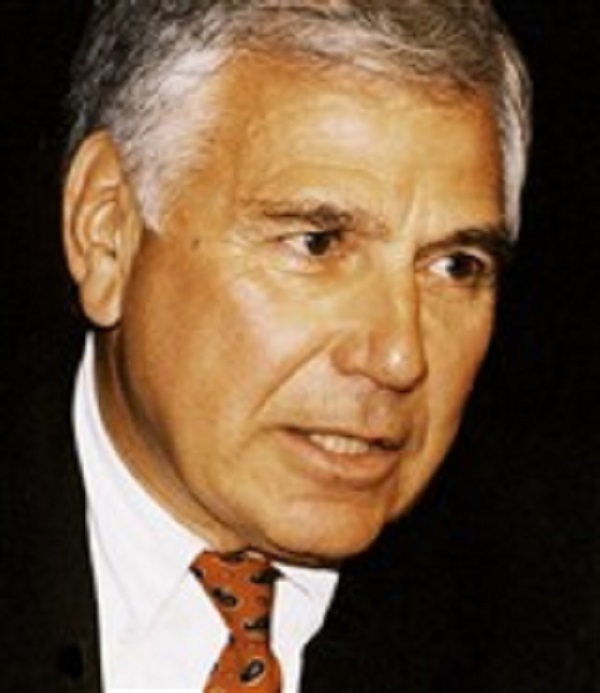 During his career, Dr. Masotti has been a consultant to two Presidential Commissions: the Kerner Commission on Civil Disorders , and the Eisenhower Commission [The Causes and Prevention of Violence, 1968], and as an advisor to various congressional, senatorial, gubernatorial and mayoral campaigns in California, New Jersey, Illinois and Ohio. In addition to his role on the Presidential commissions, a highlight of his political career was as co-director of Carl Stokes' campaign for mayor of Cleveland in 1965, when Stokes made history as the first elected black mayor of a major American city. Another highlight: in 1979 he was named executive director of Chicago Mayor Jayne Byrne's Transition Committee. Byrne was the first, and as of 2018, only female mayor of Chicago. Aside from his involvement with these commissions and campaigns, Dr. Masotti was development coordinator for high technology in Chicago, IL from 1982 to 1983. He also was a member of the Cleveland Heights Board of Education from 1967 to 1969. Since he could never decide if he wanted to be an academic or an activist, he became both, with a particular focus on the political dynamics and management of cities. As an accomplished academic, Dr. Masotti has authored, edited or co-authored 14 books, including “Education and Politics in Suburbia” , “Shootout in Cleveland”  and “A Time to Burn?” . He also wrote “Suburbia in Transition” , “The New Urban Politics” in  and “The City in Comparative Perspective” . Additionally, he was the co-editor of the first and second editions of “Metropolis in Crisis” [1968, 1971], “Riots and Rebellion” , “The Urbanization of the Suburbs” , “After Daley: Chicago Politics in Transition”  and the first and second editions of “Downtown Development” [1985, 1987]. Dr. Masotti served as editor of the journal Education and Urban Society from 1968 to 1971, Urban Affairs Quarterly from 1973 to 1980, and was senior editor of the Economic Development Quarterly from 1986 to 1992. He was also vice chairman of the board at Illinois Issues from 1986 to 1992, and for BOMA Office Management from 1990 to 1995. As an active professional in the academic community, Dr. Masotti has been a member of the International Economic Development Council, the National Association for Industrial Office Properties, the International Development Research Centre, the International Association of Corporate Real Estate Executives and the National Trust for Historic Preservation. He also holds membership in the Urban Land Institute and Lambda Alpha International. Dr. Masotti's accomplishments have been recognized over the years in the form of awards, such as fellow of the Homer Hoyt Institute for Advanced Real Estate Studies, his 1969-70 Senior Fulbright Fellowship, and a Distinguished Service Award from the Cleveland Jaycees in 1967. Dr. Masotti has also been awarded numerous research grants from a variety of federal, state and local agencies, as well as private foundations like Ford. In recognition of outstanding contributions to his profession and the Marquis Who's Who community, Louis H. Masotti has been featured on the Albert Nelson Marquis Lifetime Achievement website. Please visit www.ltachievers.com for more information about this honor.